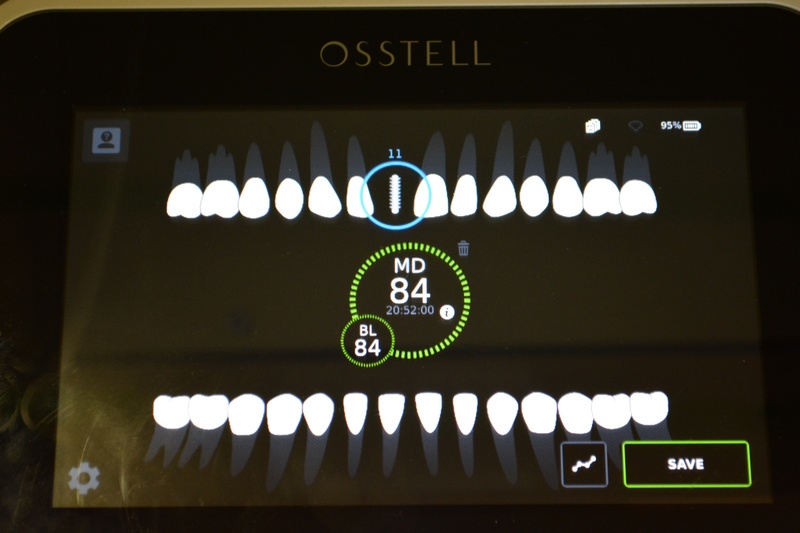 In my opinion, another piece of technology that has had a huge impact at least in my practice has been the use of an Osstell unit. 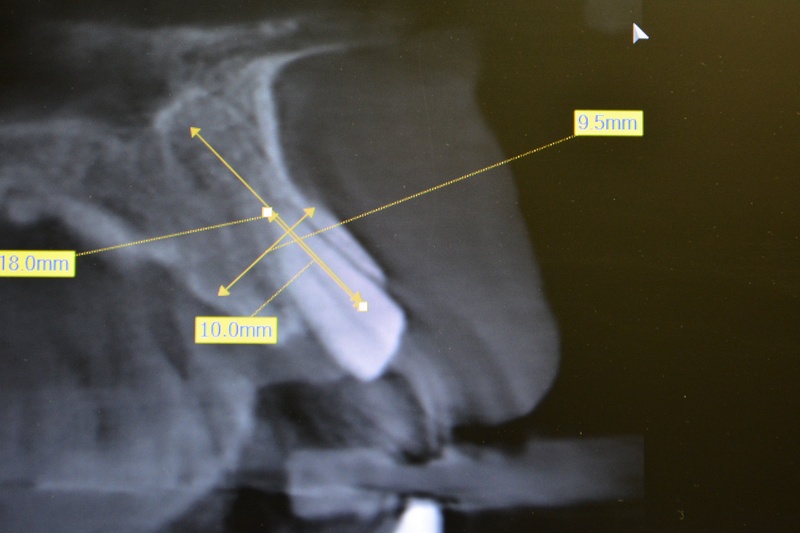 This has allowed me to not only have a quantitative evaluation of my implant stability at placement, but allows me to monitor the implant through the osseointegration process. This allows me to treat every patient individually instead of placing them all into a “4-month healing box”. I have the ability to move into the restorative phase of treatment when the patient is ready, which in many cases is much less than 4 months. Let me take a moment lay out my standard protocol of use and then I will show a case to demonstrate it. Establish the initial primary stability to decide whether to bury the implant, place a healing abutment or immediately load. To establish an initial ISQ to compare against during the healing process. I will then bring the patient back at 2 months to take a new reading. 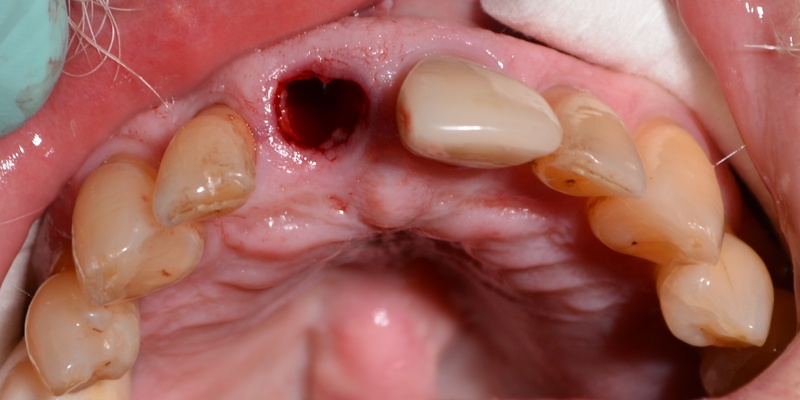 This is only possible if an immediate restoration or healing abutment has been placed. If the implant is buried, it is usually because it demonstrated very low primary stability and an ISQ < 55. These implants are not uncovered for three months before taking an ISQ reading. If at 2 months the ISQ reading has moved up and is at least a 70, then the restorative phase is commenced. If not, then the patient is brought back in 2 weeks for another reading. This protocol is followed until the implant stability has achieved at least 70 on the ISQ scale. If integration has not occurred by 5 months, or the ISQ # starts to go down, then the implant is removed as a non-integrating failure. A good example of this is the following case. The patient presented with a non-restorable #8 which was scheduled for extraction and immediate placement of a dental implant (Fig. 1). 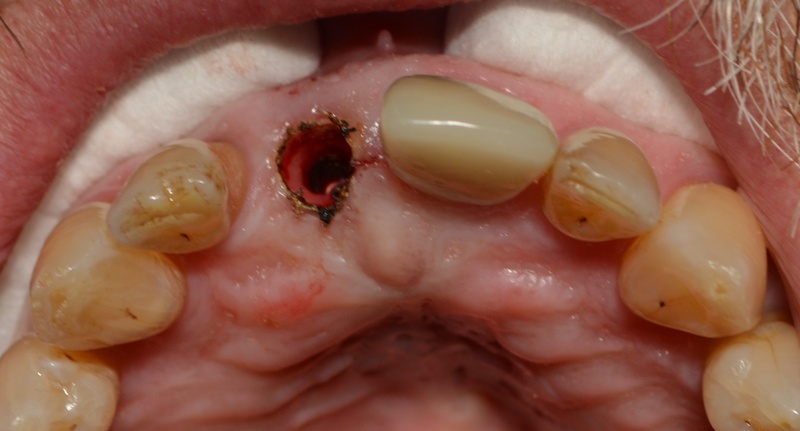 The tooth was atraumatically extracted and the site thoroughly debrided (Fig. 2). As per the Hahn Tapered Implant protocol an osteotomy was created approximately 4mm below the crest through the palatal wall (Fig. 3). Once allograft was placed against the facial wall to fill the ensuing gap, a 5 x 10mm implant was placed with a seating torque of 40N/cm was achieved. Normally, this torque value would be enough to possibly immediately load in the anterior, but experience has taught me to always check the ISQ first. 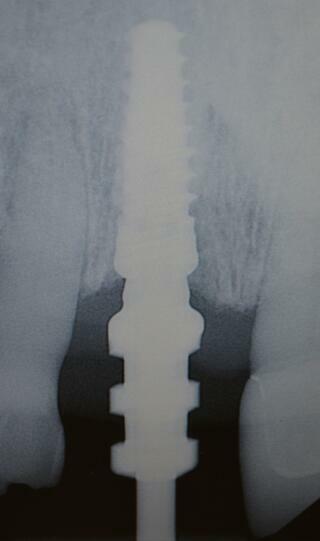 In this case the ISQ value was only 50 therefore immediately loading this implant would be a risky endeavor. The reason I rely more heavily on the ISQ value vs torque is that RFA is a much better predictor of potential lateral instability. This lateral instability, when it exceeds 150 microns, will result in soft tissue encapsulation and eventual loss of the implant. 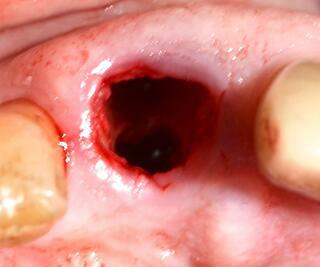 A tissue forming healing abutment was placed and the soft tissue secured with a single sling suture (Fig. 4, 5). At approximately 2 months post-operatively the patient was brought in and a new ISQ was recorded. The value was climbing, but was not quite at the level necessary for restoration. Normally, a value of 68 would be OK in my opinion to load, but tooth #8 will be subjected to a lot of lateral loading due to its position in the mouth. At 2 months 3 weeks the patient returned. The soft tissue needed to removed from over the abutment and this was done with a diode laser (fig. 6). An ISQ of 84 (Fig. 7)was recorded and the restorative phase of treatment was commenced (Fig. 8). We were able to rehabilitate this patient in a total of 3 months and 1 week, rather than waiting a 4-month time period. We were also able to confidently assess not only the initial primary stability, but the ongoing rate of osseointegration. The restorative doctor can now restore with complete confidence that the implant will be ready to handle the loads associated with the final restoration. Charles D. Schlesinger, DDS, FICOI, is a dental-implant educator who has lectured internationally for the past 11 years. In 2016, Dr. Schlesinger founded the CD Schlesinger Group LLC. The company strives to provide the very best in dental education, hands-on mentoring, and clinical support. He continues to provide comprehensive implant care to patients in a private practice setting in Albuquerque, New Mexico.